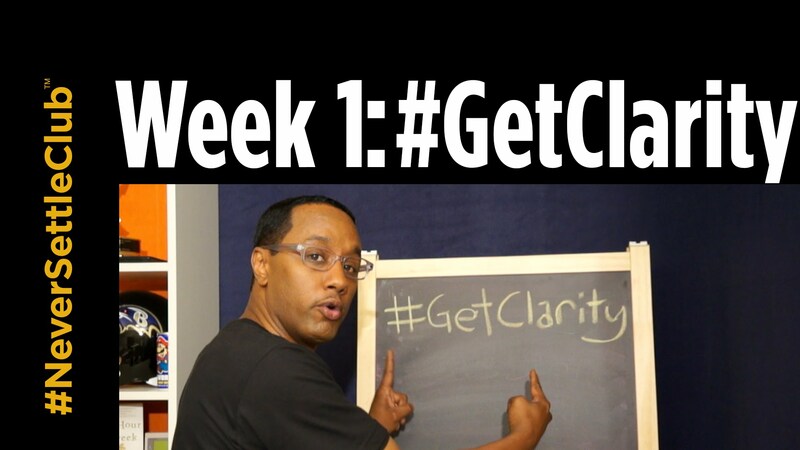 My #NeverSettleClub launched this week with my first video called #GetClarity. It’s the first in my 5 week series about pursuing your passion as a business, complete with exercises and homework to help you make your dream a reality. The #NeverSettleClub isn’t just about my advice, either: there’s a Facebook Group where you can interact with other entrepreneurs to share your questions and your experience. That’s also where I’ve posted the homework to go along with the video above. If you like this #GetClarity video, definitely join the Facebook group – that’s where I’ll be posting my latest videos and homework. Get the #NeverSettleClub homework on Facebook.